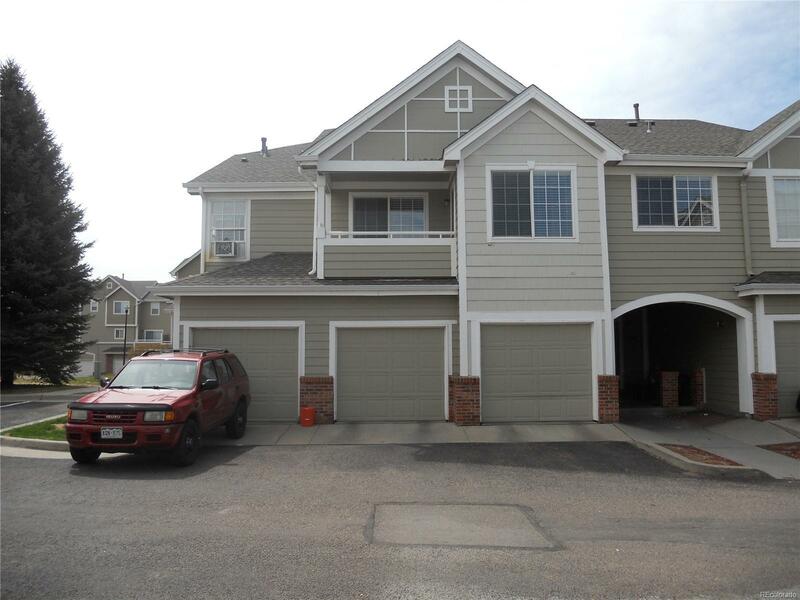 MLS#: 4910491 - Courtesy of Brokers Guild-Cherry Creek Ltd.
Great 2 Story Condo with 2 large bedrooms and 2.5 Baths! An END Unit facing large Greenbelt in the interior of Complex. Interior is Light & Bright with many windows and Eastern exposure! Living Room has Gas Log Fireplace and large Kitchen with sliding doors to Patio. Upstairs has two large bedrooms, each with it's own full Bathroom which is ideal for roommates! Upstairs Loft area could serve as a Den/Office! An upstairs Closet for Washer & Dryer adds to convenience. ATTACHED 1 Car Garage provides easy and secure access to the home with additional parking spaces at the side of the unit. Great complex in quiet Southeast Aurora location near Buckley Air Force Base. Bring us your Offer and get settled in to enjoy the Fitness Facility, Swimming Pool & Tennis Courts! Home Warranty & Quick Possession!